A 14-year-old Nigerian girl has been rescued from prostitution in South Korea by the Federal Government. 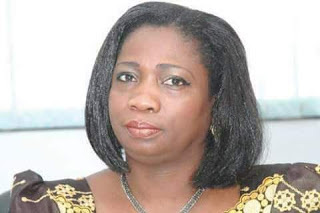 Senior Special Assistant to the President on Foreign Affairs Mrs. Abike Dabiri Erewa, who disclosed this at a conference held in Abuja on Thursday, said the minor allegedly sent to South Korea by her sister for prostitution. She will be received today, February 16. "Just yesterday, I got a call from our embassy in South Korea. We are bringing in tomorrow (today) a 14 years old girl, who was actually sent to South Korea for prostitution by her own sister. “That is extreme hatred. That is not love but extremism." she said. Speaking at at the 4th International Conference on Love and Tolerance organised by the UFUK Dialogue, Mrs Dabiri further revealed that young girls between ages 12 and 13 were rescued at the international airport at the verge of being flown abroad for prostitution. "My sister, a former Deputy Governor, Adejoke Orelope-Adefulire just this morning also raised alarm about a few girls at the airport. Somebody was trying to traffic 14, 13 and 12 years old girls and a very observant Nigerian was able to get that stopped,” Mrs. Dabiri-Erewa said. The conference, with the theme: “Countering Violent Extremism”, is aimed at promoting love, peace and tolerance. It was held at the International Institute for Peace and Conflict Resolution (IPCR). Describing such attitude as inhumane and extreme form of hatred, the presidential aide narrated at the conference how mothers offer their children for domestic abuses abroad and uncles molesting their cousins, stressing that relatives contribute more to extremism. However, she said beyond the high insecurity challenges such as herdsmen crisis, Boko Haram insurgency, kidnapping among others, it became imperative to shun hatred and promote love and tolerance.